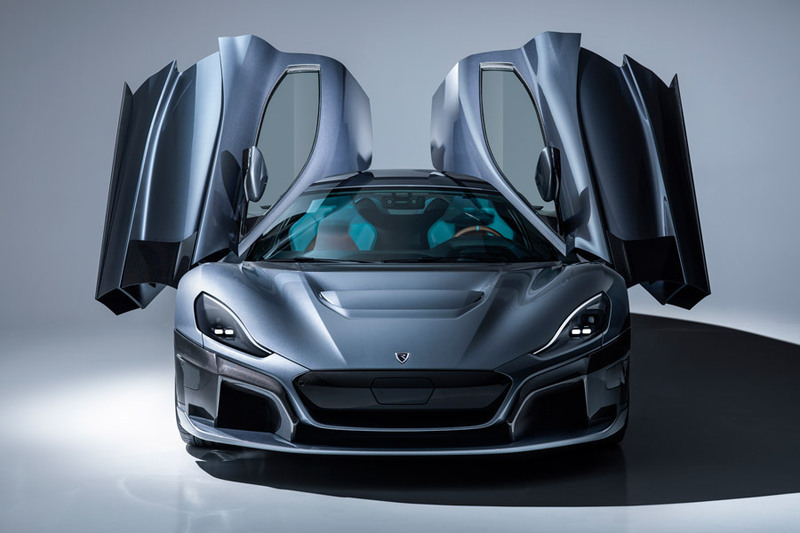 Rimac Automobili would like to introduce you to the next generation of performance, the evolution of the hypercar. 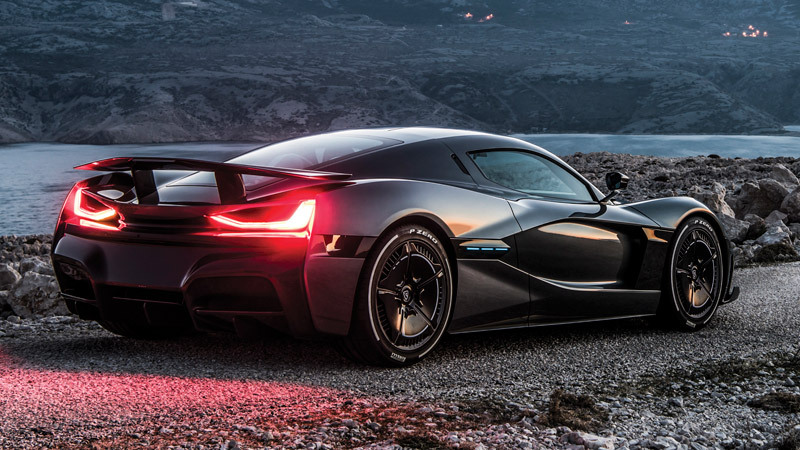 The Rimac #C_Two is a pure electric GT hypercar as capable on track as it is crossing continents. A car as bespoke as it is user-friendly. Configurable, personal and extremely powerful, representing what is possible when true innovation and passion is allowed free rein. 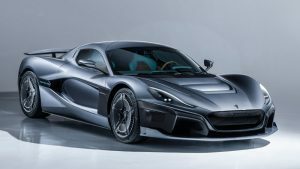 Building on the knowledge gleaned from the brilliantly powerful Rimac Concept_One, the all-new #C_Two combines the very best materials and bespoke technology to produce something both revolutionary and eminently useable, with performance and character that elevates the genre. There is – quite literally – no other car like it. Designed by Rimac’s in-house team and made entirely from scratch with all-new, groundbreaking technologies – the #C_Two features a full carbonfibre monocoque with bonded carbon roof, integrated battery pack and merged rear carbon subframe. Crash structures are formed from aluminium, and the body itself is pure carbonfibre, with the result that it is both relatively light and exceptionally strong. Double wishbone suspension with electronically-controlled dampers and active height adjustment provide a smooth and comfortable ride, with four electric motors powering each individual wheel giving both four-wheel drive and unprecedented levels of dynamic control. 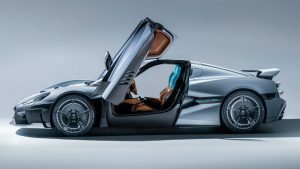 And while a pair of independent single-speed gearboxes apply drive to the front wheels, a pair of independent two-speed, gearboxes – one for each rear wheel – allow the #C_Two to make use of its prodigious torque to produce both mind-blowing acceleration and true hypercar top speed. Carefully integrated into the graceful, agile form are a variety of active elements, from flaps in the hood that alter the C_Two’s aerodynamic profile, to a rear wing that adopts different positions according to dynamic loads and operates as a full air-brake to stabilise the car under heavy braking. 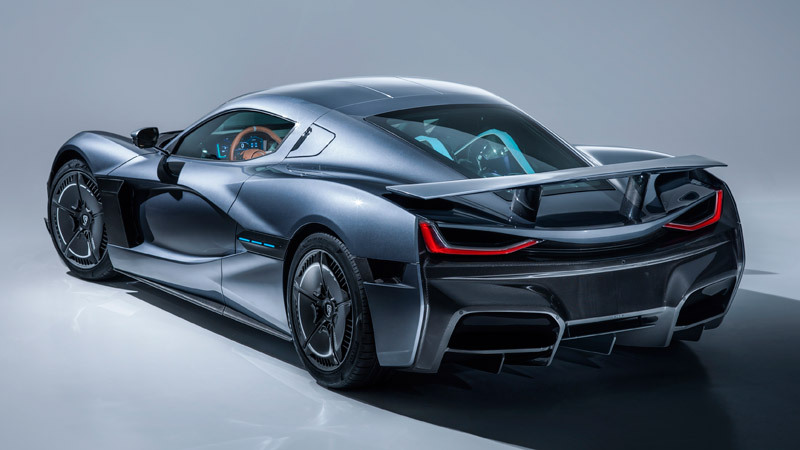 A flat floor and active rear venturi also ensure that the #C_Two is both aerodynamically efficient and stable at speed – again necessary with a car capable of such outrageous numbers. Even the lightweight forged wheels have an aerodynamic function, ensuring that the braking system is fed with cooling air while allowing smooth airflow down the flanks of the car at speed. Various cooling channels are also animate, to ensure the best possible efficiency and performance at all times. 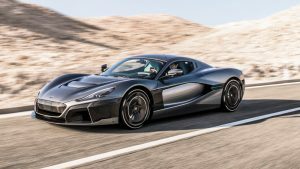 Rimac’s own suite of electronic control systems means that full torque-vectoring is available (and necessary!) to harness 1,914 hp (1,408 kW) of power and 2,300 Nm of torque – two and a half times the torque output of a contemporary hypercar. R-AWTV (Rimac All-Wheel Torque Vectoring) replaces traditional Electronic Stability Program and Traction Control systems and enables infinitely variable dynamic responses, from full grip to extended drifting capability, to satisfy even the most demanding of drivers. With such power comes responsibility: The #C_Two is equipped with the latest braking technology. In addition to a maximum regenerative braking of 150 kW, huge 390mm Brembo CCMR carbon ceramic brake discs and six-piston calipers feature on both the front and rear axles, allowing for fade-free, powerful deceleration. 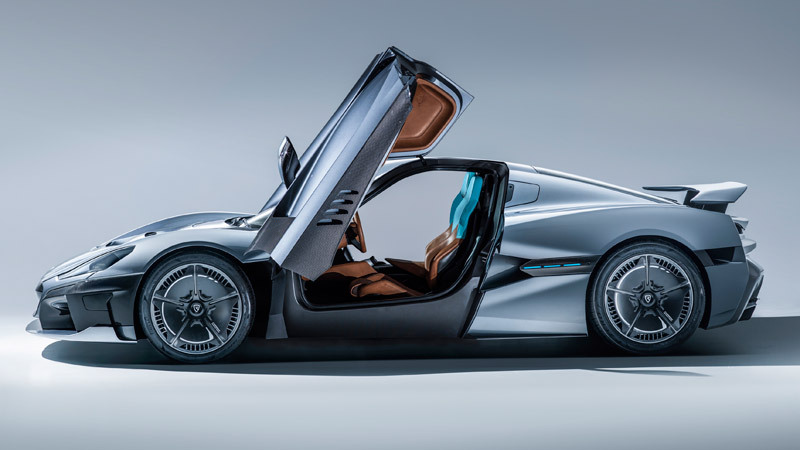 With a top speed of 258 mph (412 km/h), a zero to 60mph time of 1.85* seconds and a zero to 100 mph (161 km/h) time of 4.3*, the #C_Two makes devastating use of the instant-torque available to an electric vehicle and the traction made possible by the unique drivetrain and bespoke Pirelli tyres. More than that, the #C_Two maintains its eye-widening acceleration throughout a full-throttle cycle, achieving 186 mph (300 km/h) from rest in just 11.8* seconds. 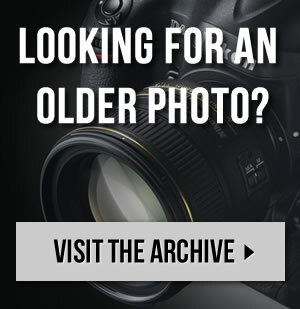 Such shattering ability equates to a quarter-mile time of just 9.1* seconds – a figure usually only associated with specialist racing machinery. Yet the #C_Two is a comfortable, bespoke GT car that has a 650 km range (NEDC), can be charged to 80-percent capacity in less than 30 minutes, and has been designed to be used hard, repeatedly and reliably. This is no fragile thoroughbred; new and innovative, liquid-cooled thermal management systems mean that this is a car capable of two full laps of the infamous Nürburgring at full power – with a negligible drop in performance.